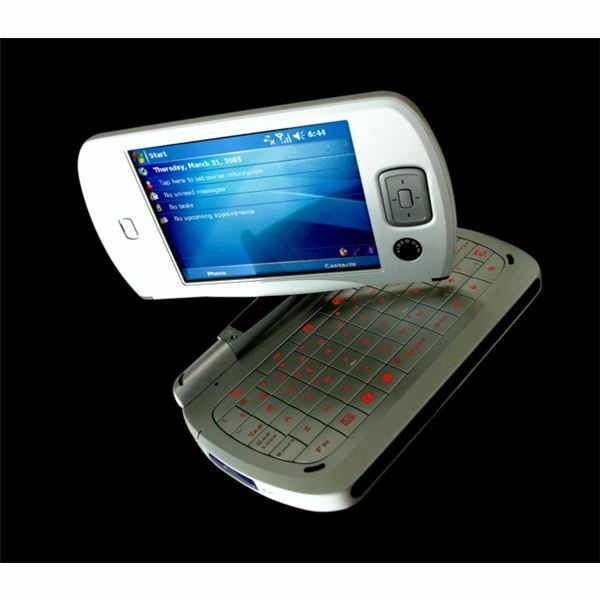 The HTC Universal is solidly built, has a great spacious QWERTY keyboard, long lasting battery life and an improved Windows operating system. The main standout feature is the unusual swivelling screen. This HTC Universal review will outline the various aspects of this smartphone device. Find out if this dated device from HTC is still worth picking up. The HTC Universal phone is a very large device measuring 5.2 by 3.1 by 0.93 inches in length, width and depth, respectively and it weighs approximately 10.2 ounces. It incorporates the traditional laptop operation with a flexible handheld design. The device is painted in grey and black. The screen lifts like a clam-shell device and swivels a full 180 degrees. The QWERTY keyboard is small but efficient and its buttons are raised for easy typing. The HTC Universal phone can lay flat like a tablet PC or upright like a laptop. 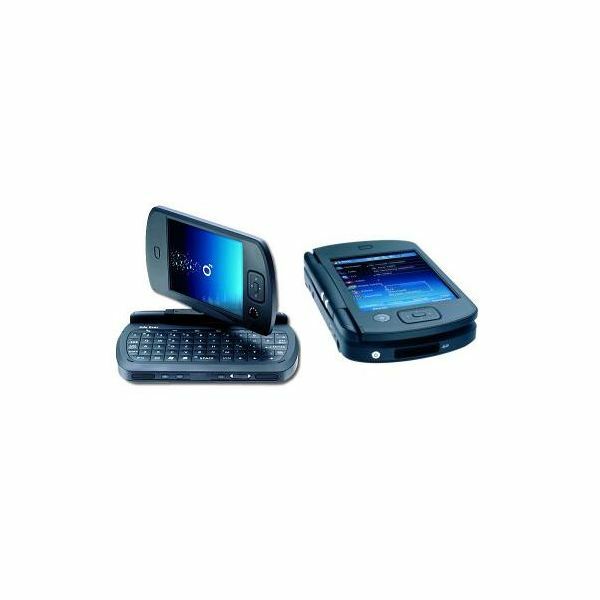 The screen automatically changes its orientation between portrait to landscape when the keyboard is slid from its compartment beneath the device. The HTC Universal phone features a 3.6 inch diagonal, VGA screen at 640 by 480 pixels. This may seem rather small in comparison with the device’s large size. The sides of the device were sacrificed for the many buttons and keys needed to use the device easily. To provide efficient use of the device the HTC Universal phone features several buttons and connectors. On the sides you’ll find the power button, 3.5 mm headphone connector, reset button and SD card slot. There is also a stylus insert, USB port, call and end keys, a battery sync and charger jack. On the front of the device is the volume slider, stereo speakers, in-call controls, dedicated camera button, backlight button and voice dialing key. Below the screen, in portrait view, is a five way navigational toggle. On the back of the device is the battery compartment which houses the battery and SIM card. The 1.3 megapixel camera and speaker, as well as flash light and VGA camera are located on the top of the back cover as well. The HTC Universal features Microsoft’s Windows Mobile operating system version 5.0 and was the first device to be launched with it. 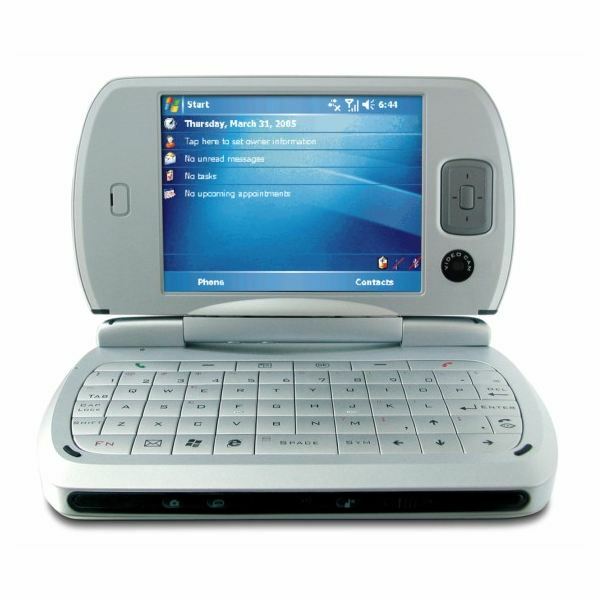 The operating system had been tweaked to accommodate the HTC Universal phone by incorporating a context-sensitive menu. This menu is situated at the bottom of the display. When running certain applications the menu would correspond to its option. For instance, while using Word Mobile the menu would then showcase the options to open a new document, save the document or exit. It is a dated operating system but very easy to use. Pocket Windows Media Player has also been added to the system and syncs with playlists and features of WMP on PCs. The 1.3 megapixel camera is not great but does take nice photographs when in the perfect settings. There is a VGA camera as well capable of being used for video calls. Video calls are a great feature for the HTC Universal phone. Its video quality is fluid and also features synced audio output. The HTC Universal phone has several connectivity options. 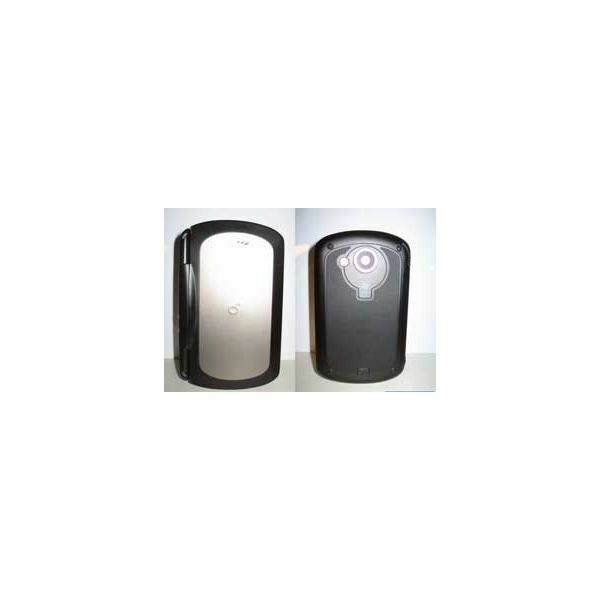 It can connect with infrared and Bluetooth technology, WLAN or 3G networks. It also has the ability to add several third party applications for additional functionality. This is perfect for people who would like to improve or add to the device’s preloaded entertainment software. The HTC Universal’s screen swivels effortlessly and is built very sturdily. It can be closed with the screen facing inward for added protection but does not feature a clasp or locking mechanism. In this case a closely fitting sleeve solves the problem. The 520MHz processor is way below standard now but still fast enough to run the OS and apps without any real issues. It features 64 megabytes of RAM and 128 megabytes of ROM. The HTC Universal phone has a slated battery life of 5-8 hours of talk time, 15 hours of standby in handheld mode and 2-4 hours on standby in 3G mode. 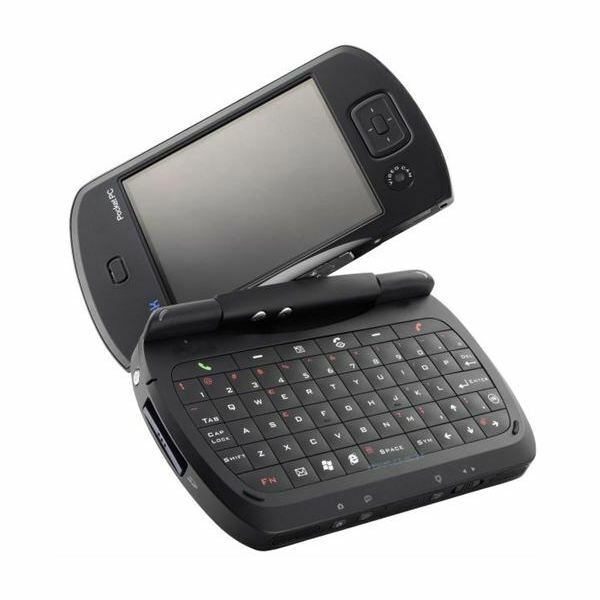 The HTC Universal phone is a unique device featuring a swivel screen, QWERTY keyboard and packed with programs, applications and extra features making this a truly useful handheld device. Its integration with the laptop style and smartphone functions makes this a very convenient device to use. At the time of release it was cutting edge and consequently very expensive, a few years later you’ll be able to pick one up on eBay fairly cheaply. If you want a device somewhere between a laptop and a smartphone then check out the HTC Universal.